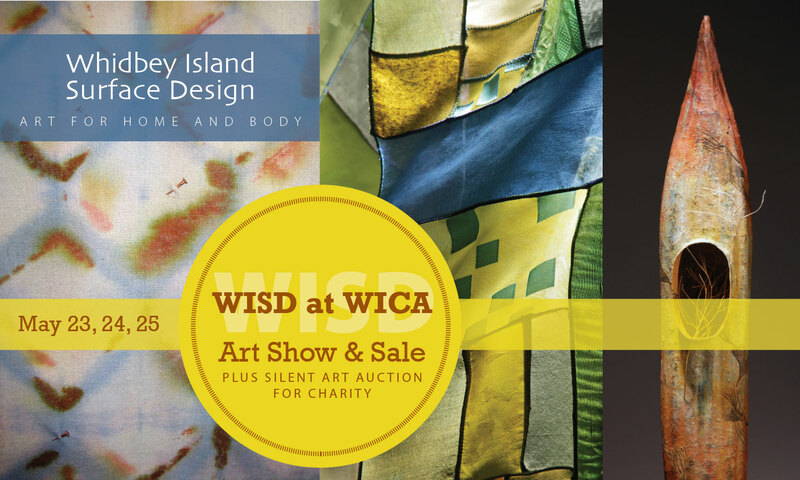 Artists and designers from Whidbey Island Surface Design (WISD) will be filling WICA’s Zech Hall to the brim with one-of-a-kind fiber, textile, and mixed-media art during their annual Art Show & Sale over Memorial Day weekend. The show opens on Friday, May 23 with a Meet the Artists reception from 5-7 p.m. The show continues from 10 a.m. to 5 p.m. Saturday, May 24 and 11 a.m. to 4 p.m. Sunday, May 25. Whidbey Island Center for the Arts (WICA) is located at 565 Camano Ave., Langley (www.wicaonline.org/). Surface design is the creative exploration of fiber and fabric. WISD artists use a wide-ranging combination of media and techniques to produce fine art and functional pieces that can be hung on the wall, displayed on a table, thrown over an arm chair, or worn on the body. The works for sale in the show include weaving, beading, basketry, felting, knitting, quilting collage and mixed-media. As usual, the sale will include an abundance of colorful wearable art and accessories, such as scarves, hats, shawls and jewelry. A framed mixed-media piece by Laura Stangel Schmidt will be offered in a Silent Auction, which will run for the duration of the show. The top bidder will be announced at 3 p.m. on Sunday. The proceeds from the sale of the piece, titled Confluence, will benefit Orca Network. The professional artist members of WISD regularly exhibit and sell their work in galleries and museums in the Northwest, as well as nationally and internationally. WISD is the local chapter of the international Surface Design Association. Visit http://whidbeyislandsda.wordpress.com for more information about WISD and the artists. This entry was posted in Exhibition, Member Event, Member Sale, SDA - Washington and tagged Fiber Art, Whidbey Island SDA.